Level 2 QCI Guidance Classes begin from April 6th, 2019. Click here to register for the QCI Guidance Classes. Level 1 QCI Guidance Classes begin from April 2nd, 2019. Yogalaya Pune has different categories of Yoga Courses. Be it health issues or mental insecurities, we have a solution for every problem of yours. The real key to a healthy body is a healthy mind and vice versa. 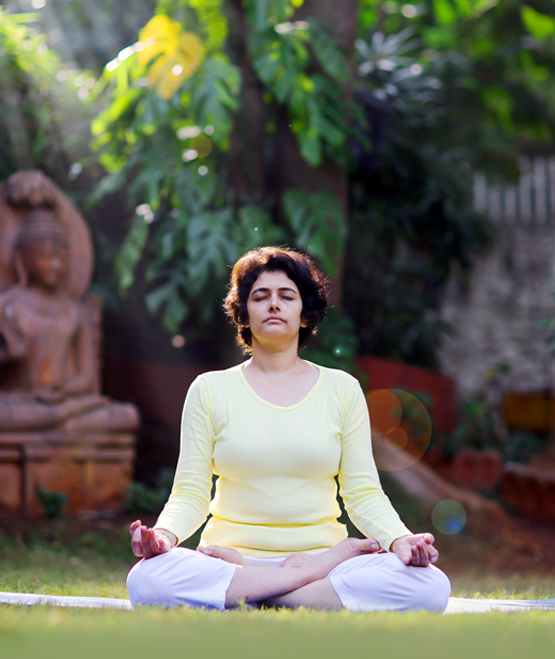 We strive to give you a stress free, positive and happy lifestyle through Yoga and Meditation. Learn Yoga at Yogalaya Pune and connect with yourself. Yogalaya Pune offers QCI guidance classes for Professional Yoga Certifications. These classes are specifically for training candidates for the Voluntary Certification of Yoga Professional exam that is conducted by TQCert and QCI.